Hope International University draws scholars from around the world who are committed to excellence. In our mission of empowering students through Christian higher education to serve the Church and impact the world for Christ, we invite our friends and supporters — individuals, corporations, foundations, and other patrons of education — to join us in building on this foundation of excellence. Your gift to Hope International University is one of the best investments you can make in higher education, one that pays extraordinary academic and societal dividends. Hope students, faculty, and alumni share high ideals and a powerful commitment to make a positive difference in the lives of those around us. Your support is an opportunity to make a profound and lasting contribution to our students, our communities, and our world. 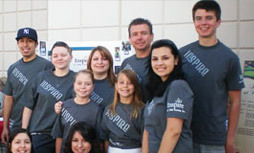 Whatever your motivation for giving to Hope International University — whether as an alum you are grateful for your experience and want to give something back, or you wish to leave a legacy to benefit generations to come — you’ll find many ways to make a significant, lasting difference in the lives of people. The investment you make in the students at HIU pays dividends over the course of each graduate’s lifetime. For some, the returns take the form of changes in public and private education or in the for-profit and non-profit business arena. If you are interested in donating we provide the option for secure online gifting or donation by mail. There are many different ways to support our mission at Hope International University, but when you plan a gift as part of your overall estate and financial plans, you will help us to continue empowering students through Christian higher education to serve the Church and impact the world for Christ. Take a look at a few of the thousands of HIU graduates who are impacting the world.